The Parenting Teenagers Leaders' Guide is designed for those planning to lead or help facilitate The Parenting Teenagers Course. It provides all the information you need to run each session. It covers: How to run the course either using the DVD's or giving live talks, The structure of a session for five-and ten-week courses, Key ingredients for running a successful course, Important guidelines for hosting the small group discussions, Overview and timetable for each session of five- and ten-week courses, Suggested room set-up & How to promote the course. The course is designed to be flexible and provides full instructions on how to use the material over five longer or ten shorter sessions, depending on what suits your group. Parenting Teenagers Course Leaders Guide by Nicky Lee; Sila Lee was published by Alpha in August 2011 and is our 11019th best seller. 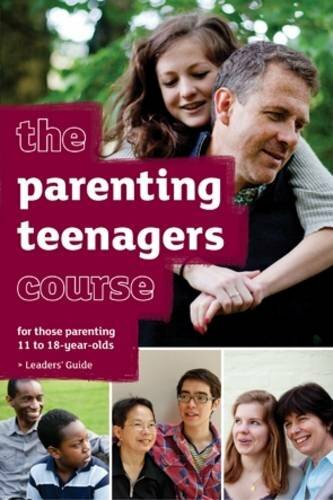 The ISBN for Parenting Teenagers Course Leaders Guide is 9781907950049. Be the first to review Parenting Teenagers Course Leaders Guide! Got a question? No problem! Just click here to ask us about Parenting Teenagers Course Leaders Guide.